The Peoples Democratic Party has denied the purported election of Senator Aidoko for the Kogi Eastern Senatorial District. A statement in Lokoja on Wednesday, signed by the Returning Officer, Sam Abenemi, the State Secretary of PDP, Faruk Yahaya, and the State Publicity Secretary, Bode Ogunmola, said no primary was held to return a Senatorial candidate for the Kogi Eastern Senatorial District. The party said that after due consultations with the electoral officials from Abuja, the returning officer and state officials of the PDP, it was resolved that the MoU allegedly signed by the PDP with APC Senators was not applicable in the Eastern Senatorial District. This, he said, did not allow for any affirmation as demanded by the officials from Abuja. The statement said that the party in Kogi State, therefore, advised the general public to disregard the purported primary election. It said that the party’s leaders in persons of Alhaji Ibrahim Idris, Capt. Idris Wada from the district were all in Idah on Tuesday and there was no election held there. The state PDP, therefore, called on its members to remain calm as efforts are being made to redress the issues surrounding the purported election and result. 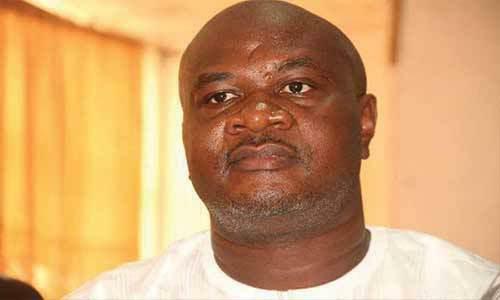 Attempts by Aidoko to manipulate the process to favour him has been generating anger in Kogi East. The failure to conduct the primary on Tuesday as has d been announced is said to have sparked off a growing protest as news of the development leak. “This is clearly a return to the days of impunity which led to the ouster of the Party from Power in 2015,” one youth leader stated. He said the PDP would fail woefully in the event that it goes against its guidelines and constitutional provisions for party primaries as guaranteed by the Nigerian Constitution.